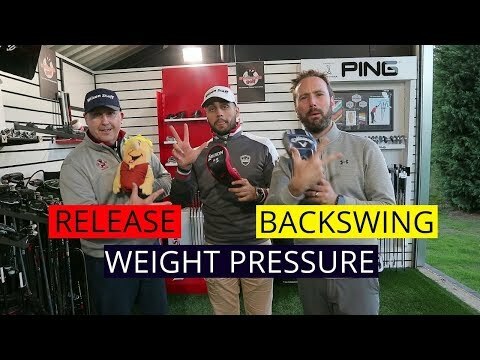 This video discusses 3 awesome drills you can easily do on the driving range to improve your backswing, release and weight transfer in your golf swing. People are always looking for drills they can do from home, golf drills for beginners, golf drills for consistency, these are also great golf drills for kids, some great drills in here too for hip rotation, and to stop you from coming over the top. These are also finally great drills you can do with the driver. These are golf drill you can easily do down the driving range, or you can do these drills at home, these are some of the best golf drills you will find on YouTube. As these drills are going to make you a better ball striker. These drills will help you create a better more powerful back swing position, the transition drill is going to really help improve your hip rotation and balance and improve you ball compression. These simple golf drills will stop you from over extending and help you create a better golf arm rotation in the through swing too.